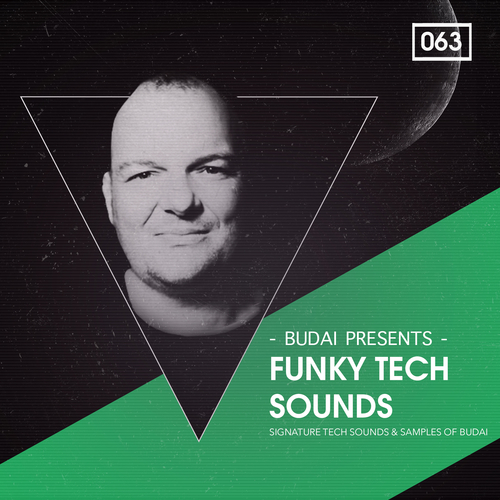 Hungarian techno icon DJ Budai presents his signature sample pack! Packed with groovy drum loops, sub-smashing bass & low-end loops, top & percussion loops, music loops, vocal chops, FX and single hits. 300Mb+ of pure deep & tech-twisted sounds! DJ Budai started his career in late ’80s by participating in local DMC championships and became well known when ‘Techno-House Classics of ‘ 93-96 – Mixed by Budai’ came out. The enormous success brought him two more compilations at Universal Records – ‘Budai – The DJ Mix 2.’ (1999) & ‘Technologic vol. 1 – Mixed By Budai’ (2001). Soon after that he launched his own record label Egotraxx and released music from such underground techno artists like Markantonio, Marko Nastic, Alexander Koning, DJ Preach and Allan Banford. Alongside his productions which could be found on record labels like Cr2, Monique Musique, Beat Therapy, MBF, Kinetik, Whartone and many others – DJ Budai also played in legendary venues such as Fabric or Ministry of Sound. Explore this tech, deep & funk-driven collection now!